Congratulations to all the students in Cork who are graduating today! 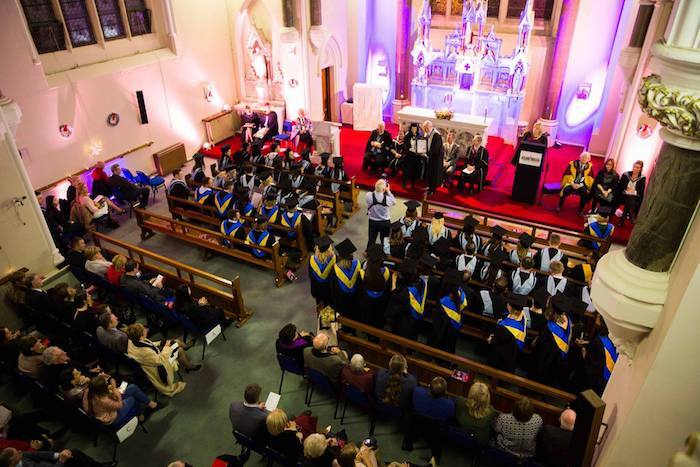 The Cork ceremonies will take place today, the 22nd of November, in two ceremonies in the Honan Chapel on campus. The 2:30 ceremony will confer degrees and certificates on students from the Business, Computing and Journalism faculties (as well as students studying Small and Medium Enterprises Management), while Innopharma, Institute of Commercial Management and Law students will be honoured in the 7:00 ceremony. Griffith College wishes the very best to all of our graduands, as well as the families and friends celebrating with them! Watch the livestream on our YouTube channel.